The container-native CI/CD platform has announced it is bringing Helm Charts to Kubernetes. With Helm Charts, engineers can define their apps for Kubernetes with microservices and networking components. It will act as a package manager for Kubernetes. CoreOS has announced the latest release of Tectonic will ship with the beta version of Open Cloud Services Catalog for enterprise Kubernetes. Tectonic is the company’s enterprise Kubernetes platform. The new Open Cloud Services are new automated software services that will enable enterprises to deploy key infrastructure components without any cloud vendor lock-in. The services include etcd, Prometheus and Vault. Other features of 1.8 include the open source Kubernetes version 1.8, Prometheus 2.0, and improved container runtime stability and flexibility. Kasten, a cloud-native data management company, emerged from stealth today with the K10 platform and an open source project called Kanister. With these new solutions Kasten aims reinvent enterprise data management, and help enterprises build, deploy and manage stateful containerized apps at scale. Kasten K10 is an app-centric data management platform that provides policy-drive automation, compliance monitoring, data protection, and data mobility and manipulation. Kanister is an extensible framework for application-level data management. Instana is announcing full-stack monitoring support for Kubernetes-orchestrated applications. The APM solution leverages artificial intelligence to discover, analyze and monitor between different technology stacks. The new Kubernetes support will enable these capabilities to work in-between Kubernetes orchestration layers to provide complete observability of applications. Oracle is open sourcing the Fn project Kubernetes Installer and Global Multi-Cluster Management solution. 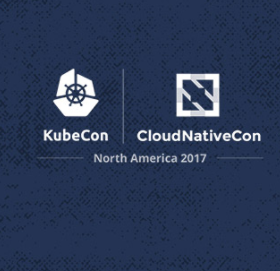 These projects are designed for the next generation of container native apps leveraging Kubernetes, according to Oracle. The Fn project Installer brings serverless capabilities to Kubernetes environments. The technical preview of Global Multi-Cluster Management solution provides a set of distributed cluster management features for Kubernetes federation. Quantum announced its open source project Rook has been getting significant support for the developer community since it was released into open source more than a year ago. Rook provides cloud benefits of cloud infrastructures to public cloud and on-premise environments. It includes self-managing, self-scaling and self healing capabilities as well as deep integration into cloud-native environments. Weaveworks announced the availability of Weave Cloud Enterprise Editor for its container-based microservices management platform. New features include: incident management, release automation, rollback for CI/CD, and full stack Kubernetes troubleshooting.